Lytham Hall is an elegant Georgian manor house set in 78 acres of garden and parkland on the edge of Lytham St Annes. The history of the site goes back long before the attractive Georgian house, however. In the 12th century, a local man named Richard FitzRoger was in danger of death before he was taken to a local church dedicated to St Cuthbert. FitzRoger recovered, and to give thanks he made a pilgrimage to the shrine of St Cuthbert at Durham Cathedral. But he wasn't done yet; when he returned, FitzRoger gave money to found a Benedictine priory at Lytham, with the monks coming from Durham. The priory was disbanded at the Reformation, and the land was purchased by Sir Thomas Holcroft. In 1606 Cuthbert Clifton bought the estate, and in 1625 he began building a new manor near the original priory site. The staunchly Catholic Cliftons supported the Royalist cause in the Civil War, and the estate was seized, only to be restored to them at the Restoration of the Monarchy under Charles II. In 1750 the Cliftons called in John Carr of York, one of the leading architects of the day, to build an elegant new house in classical Palladian style. This house was finished in 1764 and is essentially the building we can see today, though some of the earlier 16th-century manor still remains in the rear courtyard ranges. The Clifton family fortunes dipped, due in part to extravagant spending by John Talbot Clifton (1868-1928). The house was eventually sold to an insurance company, and then to the Lytham Town Trust. It is now operated by a charitable trust and made available as a venue for weddings, conferences, receptions, and corporate events. For those readers inclined to historic architecture, the house is built of red brick in a Flemish bond, beneath a hipped roof topped with slate from Cumberland. It stands three storeys high, in a symmetrical design, with a pedimented central bay. Within the wooded parkland surrounding the house is an 18th-century dovecote. 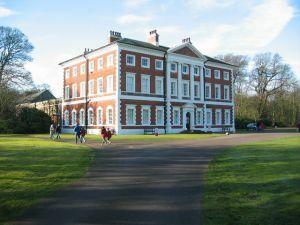 The house has regular public open days (generally on Sunday) throughout the spring, summer, and autumn, and the park is open 4 days a week during the same period. Please check the official Lytham Hall website for current opening details before undertaking a trip. Location: Off Ballam Road. Onsite parking. For satnavs use the postcode FY8 4TQ. 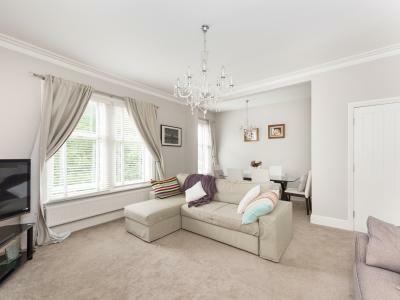 This semi-detached maisonette is in the resort of St Annes-on-Sea and can sleep six people in three bedrooms.